FCAP training is offered on two levels. Level one consists of courses meeting Florida’s continuing education requirements for CAMs, and level two is the Florida Advanced CAM Studies (FACS) course. FCAP currently offers over 50 online CE courses free for FCAP members. These courses are available 24 hours a day. The course materials are provided by the top professionals in the industry and updated frequently. CEUs are available in all categories as well as the required legal update. Click the link below to see the courses currently available. Please check the website often as courses will be added as they are approved by the DBPR. FCAP offers the only Florida-specific designation in the industry. The core of the certification is Florida Advanced CAM Studies, the most comprehensive systematic training program available for community association managers. 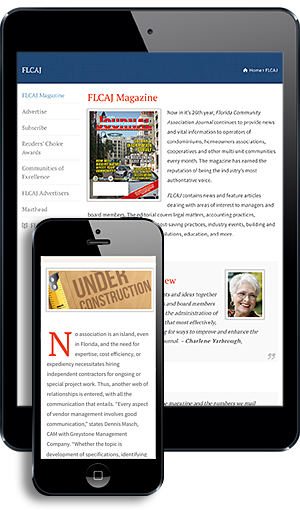 Developed with the help of over 200 Florida professional service providers, educators, and managers, the approximately 190 study resources cover virtually every aspect of community association management.